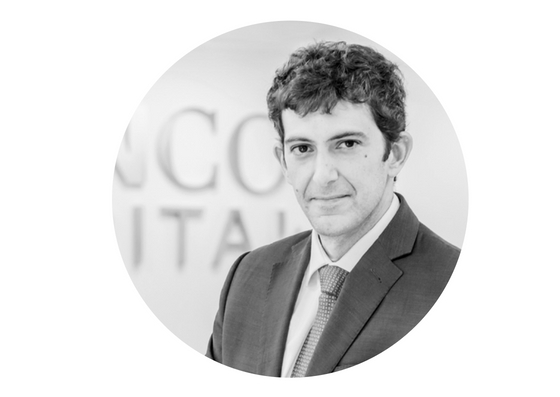 As Head of Market Strategy & Commercialization, Gonzalo has overall responsibility for energy sales and commercialization strategy. Prior to joining Sunco Capital, he was Director of Global Portfolio Management & International at Acciona Energia with global responsibility for the commercial optimization of the operating (9 GW) and under development portfolio. Gonzalo joined Acciona Energia in 2005 and set up spot and forward market operations in Spain before assuming international and management roles. From 2010 to 2018, he held several management positions with significant contribution to the internationalization of Acciona Energia. He built and managed power marketing teams in key geographies for the company, negotiated corporate and utility PPAs until execution, lead tender submissions globally and originated new sources of revenue for the projects and portfolio. He holds a Master in Mining Engineering, with a major in Energy and Fuels, from Universidad Politécnica de Madrid (Madrid, Spain), and a Master of Science in Management from HEC Business School (Paris, France). 13 years of experience in the energy sector. Commercial optimization of 9 GW of renewable projects (Wind, Solar PV and CSP, biomass and Hydro) in 15 countries. +900 MW awarded in public auctions in Mexico, Chile and Australia. 200 MW new capacity contracted under utility and regulated PPAs in the US, India, Costa Rica, Poland and Croatia. 380 MW Corporate PPAs in Chile and Mexico and +100 MW secured with Private PPAs.in Chile, Australia and Poland. Investment approvals for new and innovative commercial structures, +200 MW under long term financial hedges in the US, REC-only contracts, merchant exposure. Actively managed short and medium-term market risk traded +40 TWh in bilateral and exchange cleared financial instruments.